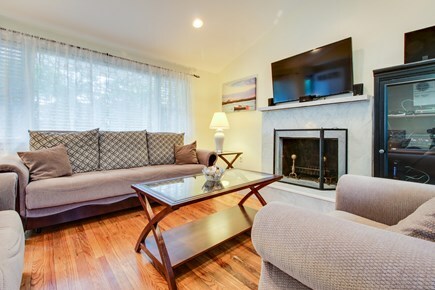 This upscale rental has everything you need to enjoy your stay. Relax after a long day in front of the cable TV. Have a relaxing night playing board games in the living room. 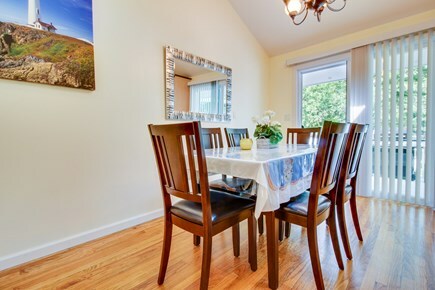 Gather around the table for a home cooked meal. 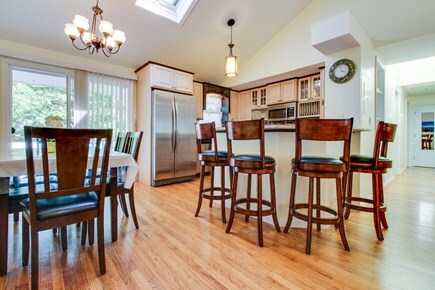 Cook a five star meal in this gourmet kitchen. 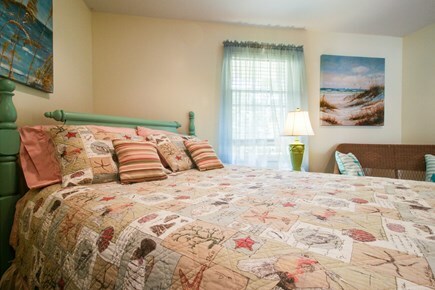 Rest your head after a long day at the beach in this queen bed. 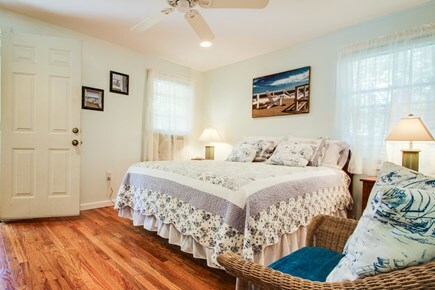 Relax and unwind in this beautifully furnished bedroom. This master bedroom with an en suite will be the perfect escape. This room is perfect for the kids to unwind after a long day. 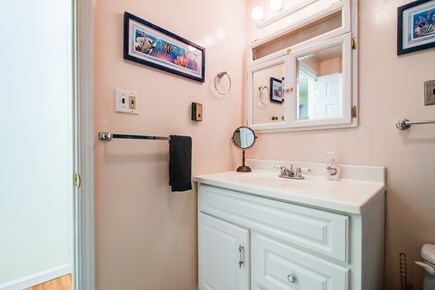 There is room for everyone to get ready with two full bathrooms. End the day grilling on the back deck. 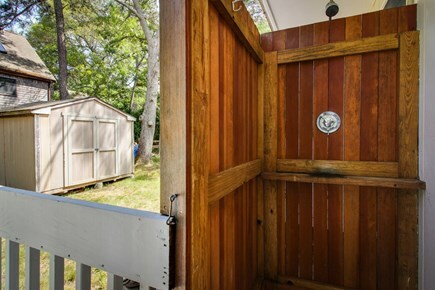 Rinse off from a day at the beach in this outdoor shower. 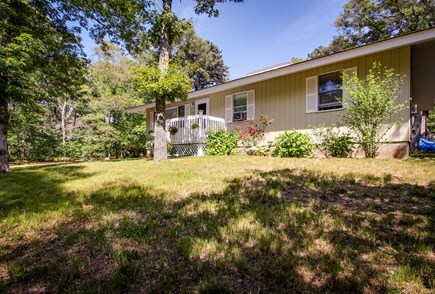 This quiet residential home has everything you need! 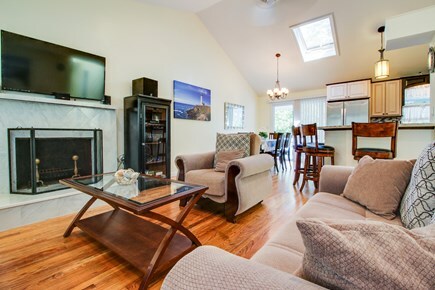 You'll love this Oak Bluffs vacation rental with plenty of entertainment and a beautiful gourmet kitchen! The surrounding area is quiet and residential, and the water is less than a mile to the northwest. To get to the heart of Oak Bluffs and its shops and restaurants, it's just a mile to the east. Curl up on the couch with a DVD, a show on cable, or Netflix. If you're feeling competitive, there are some board games available, and if you want some quiet time, you can grab one of the books. Post vacation photos over the WiFi, or stream some music to play over the stereo. The gourmet kitchen has granite counters, stainless steel appliances, and extras like a coffeemaker, blender, mixer, and dishwasher. 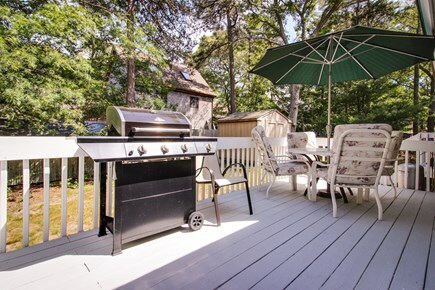 Outside on the deck, there's a grill for barbecues and some patio furniture so you can enjoy your meal in the fresh air. With three bedrooms, there's space for up to six guests. The master suite has a queen bed and a flatscreen TV. 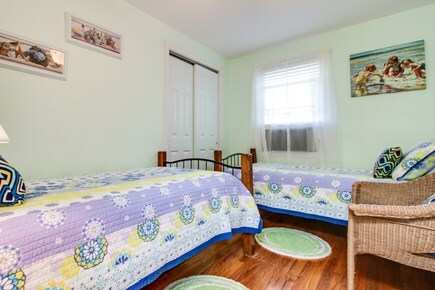 The second bedroom has another queen bed, and the third has two twins. With a washer and dryer, this house is great for extended stays. Enjoy the view from the East Chop Lighthouse, bring the kids to ride the Flying Horses Carousel, or go for a swim at Oak Bluffs Town Beach. 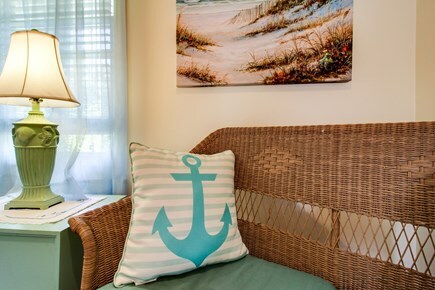 Book today and start getting excited for your Martha's Vineyard vacation! Great home on a quiet street. Has three bedrooms with actual beds in all three (no sleeper sofas). Perfect for 6 people. Everyone in the house loved it, we were up for a wedding for 2 days so after a long night out the first night, we just chilled at the house the next day until the 4 PM wedding. Way better then being stuck in a hotel, we made breakfast and used the grill for lunch. Watched movies on Netflix. Would still recommend it even if you do plan on exploring the island and have a group of 3 or 6 people, way cheaper then hotel. It's also an easy walk into the town, I think it was roughly a mile, I did it a few times. We loved this place. The house was comfortable and well equipped. The location is great since you can walk into town but also have the benefit of solitude. Very pleased with this location. The pictures made the house look a little bigger than what was expected, but there was still a good amount of room for 6 people. 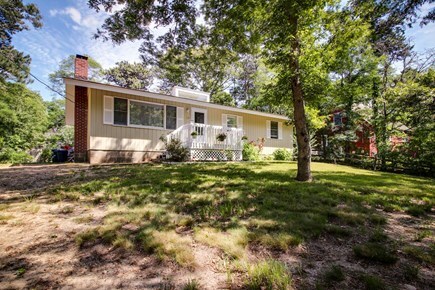 Very close to everything - just a bike ride away to Nancy's! I stayed here for a weekend with 5 girlfriends! 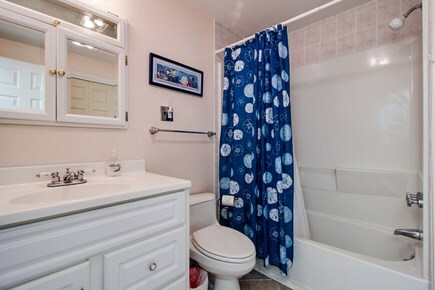 Everyone has a bed and the two full baths made it easy for everyone to get ready in a timely fashion. The home is very nice and updated inside. We loved that we didn't need anything except our clothes and toothbrushes! We used taxis the whole weekend and it was a quick ride into the heart of Oak Bluffs and Vineyard Haven. Everything was great from reservation to checkout with this property! It was a great time! I would definitely come back!